Jobs	» Adzuna.ca blog	» Uncategorized	» How Many Of These Powerful Verbs Are In Your Resume? 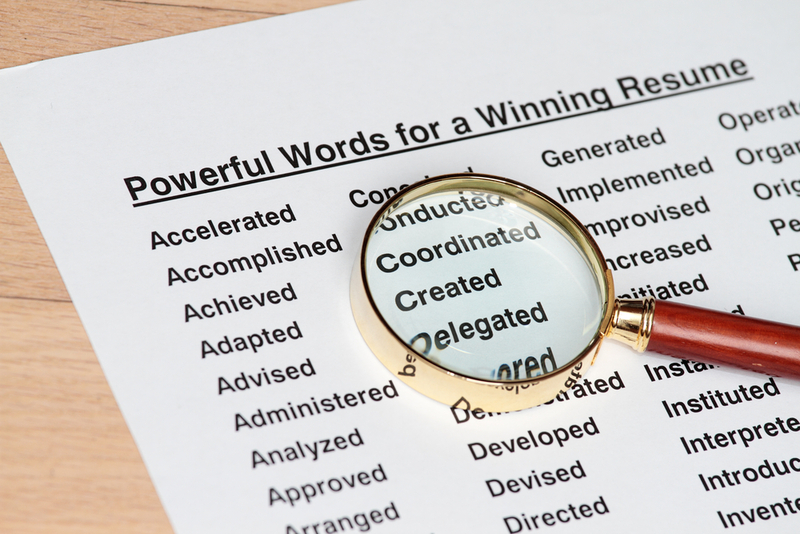 How Many Of These Powerful Verbs Are In Your Resume? 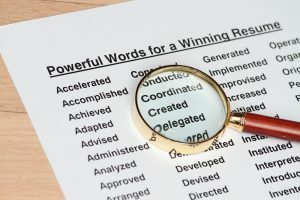 90% of all resumes are packed with the same tired 4 verbs (led, handled, managed, responsible for) when it comes to describing your experience and accomplishments. Don’t be that person. Hiring managers have heard these boring words over and over again. Use your imagination. There are hundreds of interesting and powerful verbs that you could use to add a little extra spice to your resume. Simply by swapping these dull verbs for a few power players, your resume is immediately more interesting and compelling. No matter what skill or accomplishment you’re trying to highlight, there is the perfect power verb for the job. Let’s ditch ‘led’ into the trash and use powerful verbs to explain that you were in charge of a project. You were “responsible for” hunting down and bringing in new partnerships whether this be funding or sponsors. Customers are what makes the world go round in business. Whether you were answering the phones or fielding questions here are some useful power verbs to show off your accomplishments. Research and digging for valuable information is a critical part of any job. Did you uncover the gold for a particular project? Use these killer verbs. There are so many more interesting ways to show off that you wrote something. Tagged under: led,	managed,	power verbs,	responsible for,	resume,	resume verbs.